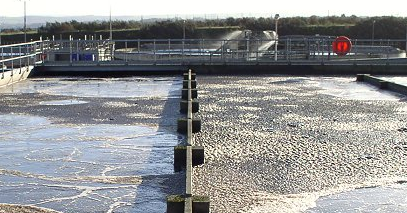 Today there is no completely clean, green, energy producing, cost-effective process for the disposal of municipal wastewater sludge. Tightening regulations, public pressure, and rapidly growing populations, are all making it more difficult to dispose of wastewater sludge in the traditional ways. The SuperWater Process is the most effective technology known for the treatment of these waste streams, significantly reducing the volume of material to be handled, eliminating all of the negatives associated with the other processes presently deployed and is the only one known to simultaneously produce energy while protecting the environment. Sludge must be disposed of by every one of the estimated 16,583 wastewater treatment plants in the U.S. which treat about 34,200 million gallons per day (MGD) of wastewater. They produce approximately 7,180,000 dry tons of biosolids (sludge) per year. The majority, 13,261 plants, are considered small. Each of the remainder, 3,322 plants, treats more than 1 MGD, and, of those, 551 treat more than 10 MGD. The 3,322 plants treating more than 1 MGD represent 93% of the total wastewater flow in the U.S. and because wastewater flow and biosolids are highly correlated, they represent approximately the same percentage of biosolids production. Of the approximately 7,180,000 dry tons of biosolids disposed of every year in the U.S., about half the total, or approximately 3,500,000 dry tons, are disposed of by what is termed beneficial use. Beneficial use means spreading biosolids over agricultural land (~74%), pelletizing and composting for later use as fertilizer (~22%) and reclamation and forestland spreading (~4%). Of the slightly less than half remaining of the total (~3,250,000 dry tons), the biosolids are disposed of by either dumping in landfills (~63%), incineration (~33%), or dedicated surface disposal units (~4%). In the case of land spreading, there is the possibility that the sludge includes heavy metals and/or human pathogens. If heavy metals (chromium, cadmium, mercury, lead, etc.) migrate into the food chain, they can cause severe neurological problems in humans and animals. Human pathogens tend to be those that the heavy load of antibiotics in most waste streams have not been able to eliminate. There is fear that those remaining may contribute to the rise of super pathogens (e.g. MRSA, methicillin resistant staphlococcus aureus).